Villa in shade, strong contrast issues. 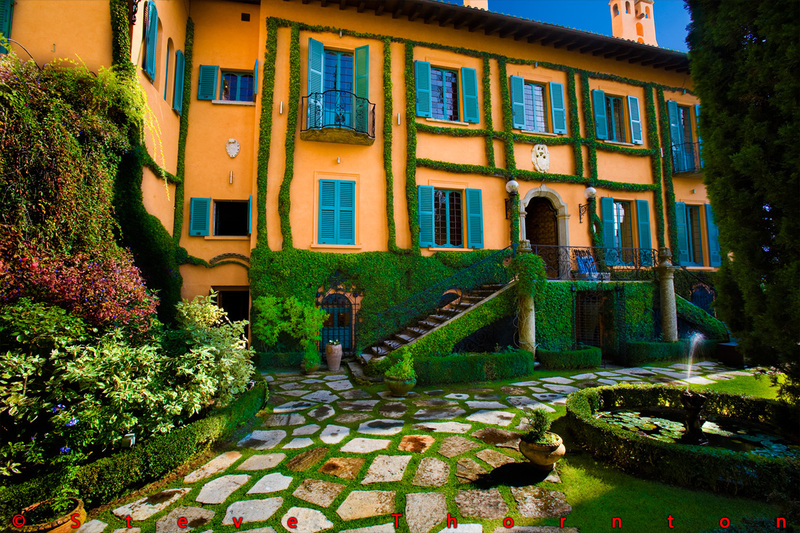 This Italian Villa was very difficult to photograph. It is built on a lake and I am almost standing in the water, there are very tall and big trees in front of the home blocking the view from the lake, so this was the best angle and time of day to shoot.